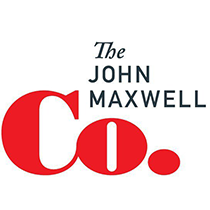 John Maxwell offers up a few principles to help you make the most of your time. Which significant event or season would you describe as “the time of your life”? Perhaps your wedding day and honeymoon, an adventurous vacation, or the birth of a child. These memorable moments stick in our minds and remembering them brings back feelings of joy. Yet while our lives may be marked by notable occasions, they’re not defined as much by any single event as by the unremarkable days which shape our character and values. The hours, minutes, and seconds in a day literally are the time of our lives. How we use them shapes who we are. To make the most of the precious resource of time, consider the following three steps. Clarity is the most important concept in personal productivity. Leaders cannot make the best use of time until they have a clear-cut notion of their purpose in life. Dr. Edward Banfield of Harvard University, after more than fifty years of research, concluded that “long-term perspective” is the most accurate single predictor of upward social and economic mobility in America. Long-term perspective turns out to be more important than family background, education, race, intelligence, connections, or virtually any other single factor in determining your success in life and at work. Successful people have a clear future orientation. They think five, ten, and twenty years out into the future. Take a moment to ponder your purpose. What do you hope to accomplish in life? Where would you like to be in 10 years? More concretely, ask yourself, “Why am I on the payroll?” Pose this question to yourself over and over again throughout your career. In truth, most people are not sure exactly why they are on the payroll. Yet, if you are not crystal clear about the results you have been hired to accomplish, it is very hard to perform at your best, raise your value as an employee, and earn promotions. Leaders look ahead to where they hope to be in the future, and they set priorities in the present to make sure they end up at their desired destination. Their future intent influences their present action. Prioritization means giving focus and energy to those things that give the highest return. The 80/20 Rule is a helpful concept to hone in on your high-return tasks. This principle says that 20 percent of your activities will account for 80 percent of your results, 20 percent of your customers will account for 80 percent of your sales, and 20 percent of your products or services will account for 80 percent of your profits. This means that if you have a list of ten items you do, two of those items will turn out to be worth five or ten times or more than the other eight items put together. Which priorities on your to-do list are most likely to account for the bulk of your productivity? Scheduling is telling your time where to go instead of wondering where it went. Sticking to a predetermined schedule guards your time and puts you in control of your agenda. Alternatively, unscheduled time flows to trivial tasks, falls under the sway of the assertive personalities around us, and surrenders to every emergency that arises. Work a couple of months ahead. Put top priorities on the calendar first, making sure keep your family at the top of the list. You’re not Superman or Superwoman, so don’t try to cram 14 hours of work into an 8-hour day. Also, build in ample time for rest and exercise. In addition, give yourself margin. Leave some free time to deal with unexpected events or to fit in an unforeseen appointment. Finally, just say no. Filter out meetings or involvements that eat away time and offer little in return. Most of the truly important work you do requires large chunks of unbroken time to complete. Your ability to carve out and use these blocks of peak-value, highly productive time is central to your ability to make a significant contribution to your work and to your life. Study your natural rhythm and carve out space on your calendar to perform your most important work during the time of day when you function best.